Aside from free food, this is another kind of surprise we like. Photo: Rey Pila Instagram. Dude with dark sneakers, you had one whitesneakers job. One. Job. 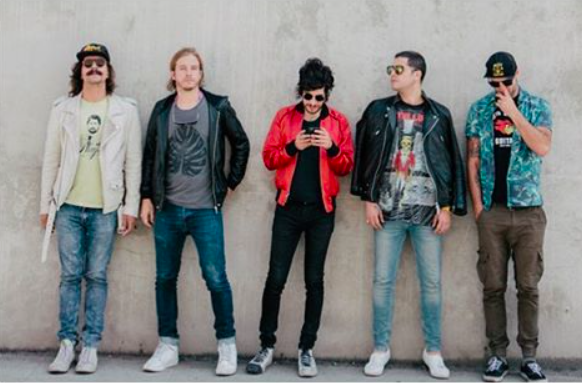 Rey Pila is originally from Mexico City and gained much acclaim for their self-titled album in 2009. Their sophomore album, The Future Sugar, was recently released and it is a sweet addiction into our playlist. “What A Nice Surprise” has a pinch of classic alternative rock to it that gives rawness to the densely synth-layered track. Even during the melodic dissonant choruses, the chaotic percussions collide euphoniously with each other – a rare sonic achievement. While the vocals seem to drift in and out, it matches the whole undulating ambient that makes it all the more complementary to the zigzaggy buzz of the song.